Who is Mike Sexton? 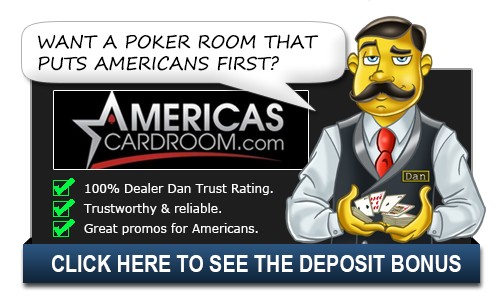 | Mike Sexton Bio - Casino Answers! Mike Sexton is a commentator on the World Poker Tour and is recognized as one of the sport’s greatest ambassadors. In 1989, Sexton won his first, and only, bracelet in Seven-card Stud Hi/Lo at the World Series of Poker. In 2000, Sexton won the European Hold’em Championship at the Aviation Club in Paris, France where he won over $1 million Francs. He also finished in 12th place in the WSOP main event that same year. He missed the final table by only a few spots. At the 2002 WSOP, Sexton missed winning his second bracelet when he finished in second place in the Seniors’ NL event. In 2003, he returned to the Aviation Club in Paris and won the European Heads-Up Championship. In 2005, Sexton played at the Australian Poker Championships at the Crown Casino in Melbourne. He cashed three times and made two final tables. He won the Pot-Limit/No Limit Speed Poker Championship after he beat out Scotty Nguyen. In 2000, PartyPoker contracted Sexton to become its spokesperson and consultant. He was the creator of the Party Poker Million cruise, which is the largest Limit Hold’em tournament in the world. In 2002, he teamed up with good friend Linda Johnson to do some announcing in a new project that she was working on. That project ended up becoming the World Poker Tour, which has become one of the most popular poker programs on television. Sexton has been a columnist at Card Player Magazine for several years and he recently finished a book called “World Poker Tour: Shuffle Up and Deal.” This year he was selected to become the 38th member of the Poker Hall of Fame. Mike Sexton came to poker at an early age. He was working as a newspaper delivery boy as a 12-year old boy in Dayton, Ohio and he would often play poker against Danny Robison and others. He’d have that level of success early, but he grew to be more successful as time went by. Sexton got serious about tournament play and in 1989 won a gold bracelet at the World Series of Poker. While most now know his as a broadcaster, he’s actually still quite active. He took 9th place in the first ever $1 million Big One for One Drop in 2014 and won a World Poker Tour title in 2016 in Montreal. In 2017, he would retire from his position as broadcaster for the World Poker Tour and take a place as chairman for PartyPoker.com. He was actually one of the original founders of Party Poker back in 2001. He sold his stock back in the day which ended up costing him quite a bit. His $15 million dollars worth of stock back then would end up being worth $500 million. The year 2009 would see Mike Sexton elected tot eh Poker Hall of Fame. He was the lone recipient that year. His broadcasting and tournament record certainly played a part in his selection, but it is his charity that really sets Mike as an ambassador to the game.